For five decades, Minnesota Opera has been a strong contributor to the Minneapolis-St. Paul arts community. In recent years, however, the Opera has struggled to engage with a younger, art-savvy audience. Minnesota Opera’s website — a critical touch point for that audience — didn’t project its strong identity as a progressive, creative force in the community, nor did the site function well on touch screen devices. 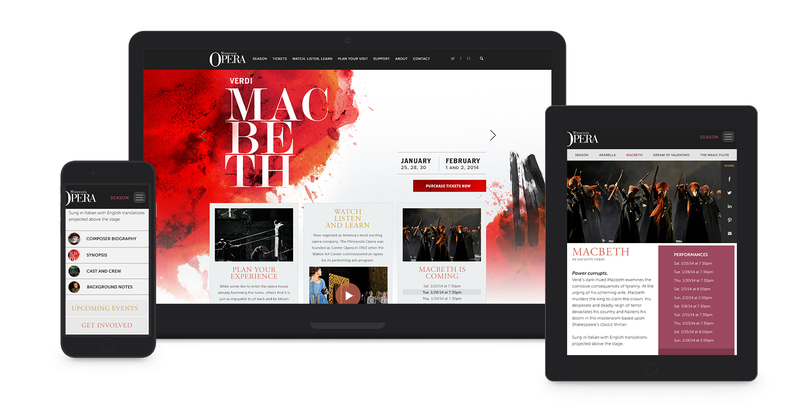 The Opera knew it needed a new, modern website to serve its changing audience, but was unsure of where or how to start. 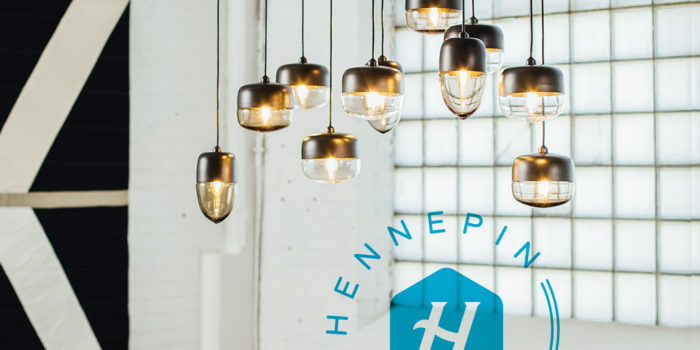 Minnesota Opera’s old site lacked a consistent look and feel and didn’t reflect the vision or artistry of the Opera; its design was outdated, and its color palette was mostly dark blue and black, which conveyed a serious tone that was unattractive to younger visitors. The website lacked consistency across templates and failed to make effective use of the Opera’s beautiful seasonal artwork and gorgeous photography. Put simply, the company’s web presence didn’t match Minnesota Opera’s reputation as one of the most exciting operas in the United States. We completed an extensive discovery phase with Minnesota Opera’s team. 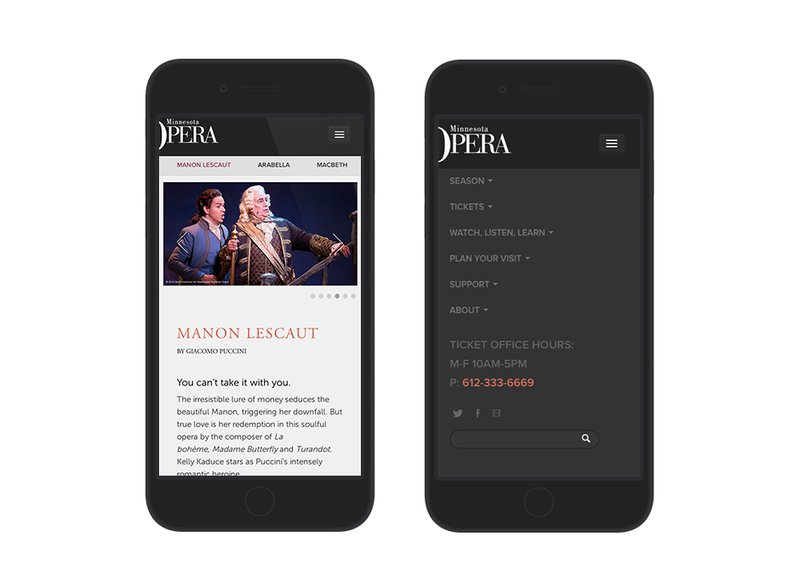 Our research of their analytics showed that 25 percent of its visitors accessed the site via iPad or other tablet device, which meant that at least a quarter of the Opera’s online visitors had a poor experience. This helped determine how the site would be used by visitors, the hierarchy of information, and how the Opera planned to manage its content. It also determined the most effective avenues for Minnesota Opera to re-establish its reputation among young people. We quickly realized that a large part of our work would be combating the general perception of the opera as stodgy, archaic and inaccessible. The website would need to promote the art of the opera without taking itself too seriously. The template designs featured large sliders and image galleries in order to help showcase the Opera’s beautiful image library. We also designed the site to incorporate large background images and each season’s unique artwork. We needed to remind users that the Opera’s live performances are awe-inspiring, expansive and feel larger than life. By making the seasonal art and show photography central to our designs, we showcased the spectacle of the Opera’s performances while also building its image as a modern, relevant company. We built a customized WordPress content management system (CMS) that contains a variety of fields for easy content entry, along with the ability to create forms for web and email. 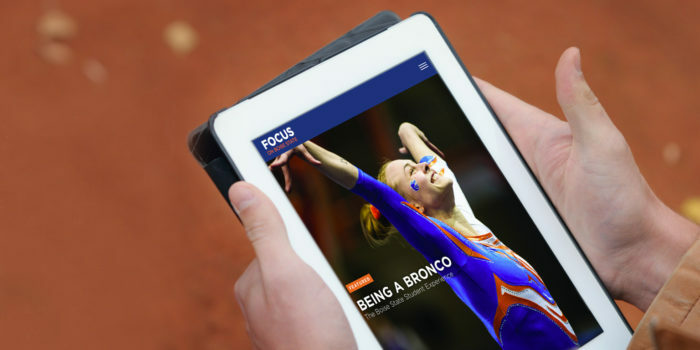 Images, slideshows, backgrounds, and galleries can be added to nearly every page, reinforcing the strong visual identity of the Opera and providing users with a personal connection to the artistry they could expect from a performance. Above all else, a simplified user experience was paramount. To make sure the user could quickly find desired content, we implemented new content infrastructure and hierarchy. Additionally, we developed a custom search function to allow visitors to search for keywords or subjects and be quickly redirected to relevant content. The new site successfully breaks down the informational barrier between the stereotype of “opera” and the dynamic company it truly is.